We have some beautiful 10-12 month old well started yearling greek tortoises in stock. 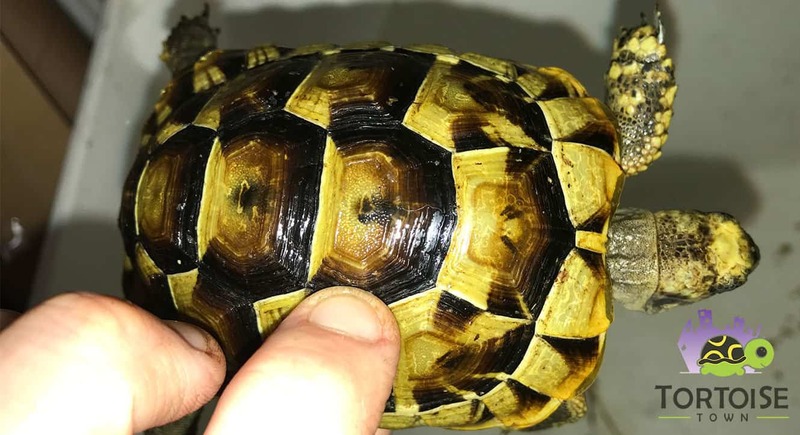 These well started yearling testudo graeca greek tortoise for sale are well past the fragile hatchling stage, and are easier to care for then fresh hatchlings. They have vibrant golden/yellow color on their heads, bodies and shells. 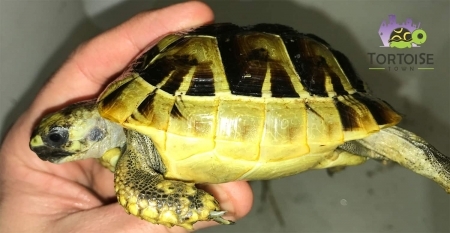 We only select top quality captive greek tortoises focusing on healthy active tortoises with vivid color and markings. Greek tortoises are fantastic animals with great outgoing personalities and beautiful colors and markings. They will eventually eat out of the owners hand and learn fast to come when they see you. Our Greek tortoise for sale are top notch and ready to ship to you via FedEx Overnight in heated, insulated shipping containers. One shipping charge covers up to 4 tortoises.